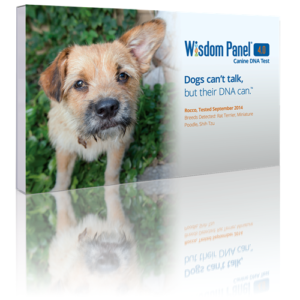 Wisdom Panel 4.0 covers more than 250 breeds, types and varieties including all those recognized by the American Kennel Club (AKC) and can be run for mixed-breed, designer, or purebred dogs. The procedure is the same for all three, but you decide at the time of activation how you would like us to run it. For purebred and designer dogs, the test will provide a Principle Component Analysis chart comparing your dog with others of that same breed(s) in our database and for purebred tests specifically, an additional Homozygosity Profile. For many years now Wisdom Panel has provided genetic mutation tests through our veterinary products and now we are including one of these important tests in our at-home swab product. Included in the Wisdom Panel 3.0 and 4.0 Canine Genetic Tests is the MDR1 genetic mutation test licensed from Washington State University, for use by Mars Veterinary. Exercise-induced collapse (EIC) is an inherited disorder of nerve and muscle that was first identified in Labrador Retrievers. It is caused by a mutation in the DNM1 gene, and is characterized by exercise intolerance in otherwise normal dogs.